M1 takes immense pleasure in presenting the 12th edition of the M1 Singapore Fringe Festival 2016: Art & the Animal! As contemporary feminist theorist Elizabeth Grosz puts it, "Art is of the animal. Art comes not from something uniquely human—reason, recognition, intelligence, or sensibility—nor from any of man's higher accomplishments—a special inclination to the aesthetic or the ethical, to beauty or goodness—but from something excessive in the world, from what is unable to be predicted, from the animal. What is most artistic in us is also the most bestial." Without a doubt, there is "an animal" in all of us. This year's theme seeks to explore this primal relationship and how, despite centuries of human advancement, we are still often led by our animal instinct and our lives remain intertwined with animals, whether we like it or not. As a mother protects her child at all costs, a gregarious man mingles with his group, or a scorned lover lashes out in fury, it continues to be in our nature to unleash our animal impulses.  So welcome back to the animal kingdom and be fascinated, provoked and stirred by the Festival's 19 emotive works from 12 countries, showcasing the multi-faceted relationships between us and our animal kin.